Cork foursome Terror Pop's premature demise dampened many an indie pop-lovin' eyeball down Leeside Way when the artists formerly known as Agitate The Gravel unexpectedly called it a day less than a year ago. Early 2013 rumours surfaced suggesting former band-mates Muireann, Chris and Ruairi had been jamming MBV-style with Une Pipe guitarist Brendan Riordan and The Great Balloon Race stick-man Dan Walsh so no smoke without fire eh? With both Une Pipe (featuring none other than Elastic Sleep's Ruairi Dale on bass) and The Great Balloon Race featuring at past The G-Man Presents... sessions coupled with Chris Somers skilfully manning sound-duties for This Is The Kit back in May, there was a hunger here to hear what the fivesome could cook up. Demos heard in March didn't disappoint and the newly unveiled shoegazm 'Anywhere' is proof why. 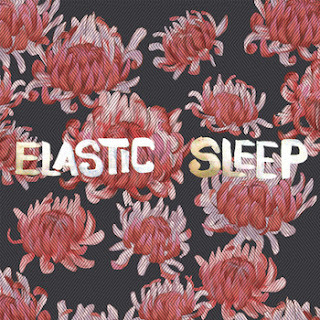 Stream the first music from Elastic Sleep or download for free using the player and links below.